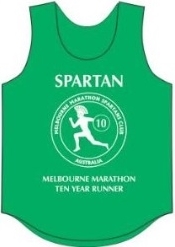 If you wish to order a Spartan jacket, please click here. 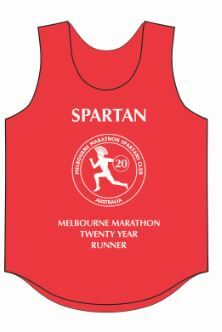 Or, if you’d like one of the new Spartan shirts, please click here. 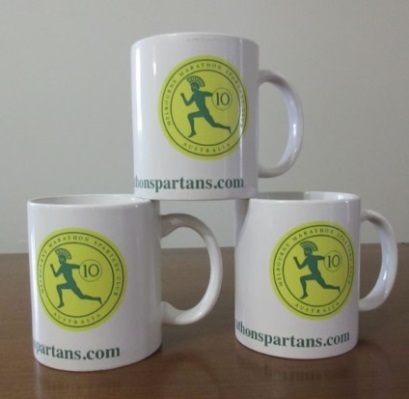 The items pictured below are available for purchase at the AGM or the pre-marathon expo. 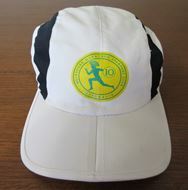 If you’d like to purchase an item at another time, contact the club to discuss details. Postage may apply. 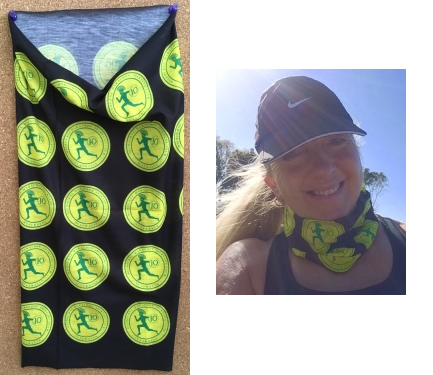 Buffs are $15 and can be used in many ways: as a scarf, a neck warmer, a bandana, in fact up to 13 ways. Car stickers are $2. They really, really make your car easy to find in a carpark! 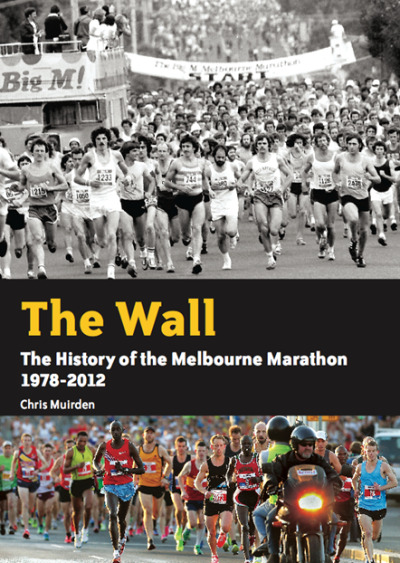 “The Wall” by Chris Muirden is the definitive history of the first 35 years of the Melbourne Marathon. 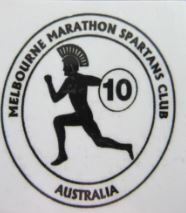 Each race is fully described with with a race summary and significant details. There are breakout sections telling the tales of individuals, some inspirational, some poignant. The Shirley Young story, for instance, is described in detail. 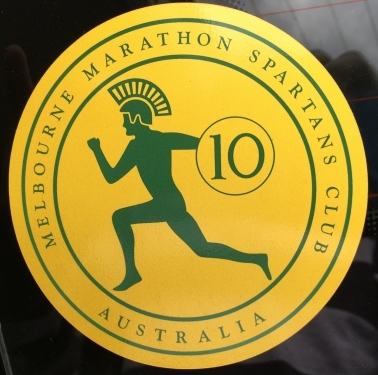 The Spartans are covered in a number of pages with pen pictures of those who completed 34 or 35 Melbourne Marathons in 2012. It is a hardcover book of the highest standard. For sale at $10 it is truly a bargain. 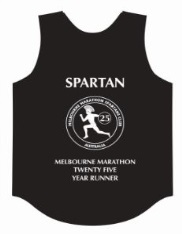 These singlets are for sale only to qualified Spartans, and are normally presented at the Annual General Meeting of the club. 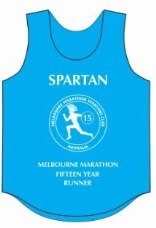 Contact spartan.team@hotmail.com if you need to order an extra singlet. 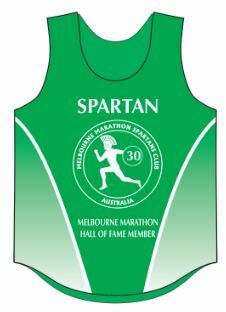 30 to 35 year singlet. Sneak Preview – New T Shirts! Female friendly, state of the art fabric, … Taking orders now.